ST Engineering's 9M17 PBT of S$450m at 73% of our full-year estimate; 4Q is usually seasonally higher. Management seems more cautious on order win outlook at Electronics and Aerospace segments. Marine up q-o-q on lack of provisions at US operations; Land Systems underperforms. Maintain HOLD with lower TP of S$3.70. In 3Q17, we saw management turn a bit more cautious on the Electronics segment’s growth and margin outlook on a shift in customer’s business models and rising competition. Aerospace segment order wins were also guided to maintain their current run-rates (which are in line with the past few years’ average) over the next 12 months. Thus, the order win outlook for 2018 is tempered down, in our view. While we do like the direction the company is taking – i.e. smart city products, robotics, new growth areas (e.g. aircraft leasing), we think most of these initiatives have yet to gain traction to significantly drive revenues in the near term. For now, we are cutting earnings by 1%/4% in FY17/FY18 to account for margin pressure across the various segments. With near-term earnings growth catalysts absent, and possibility of slightly lower dividends y-o-y as well in FY17, we maintain HOLD on the stock. 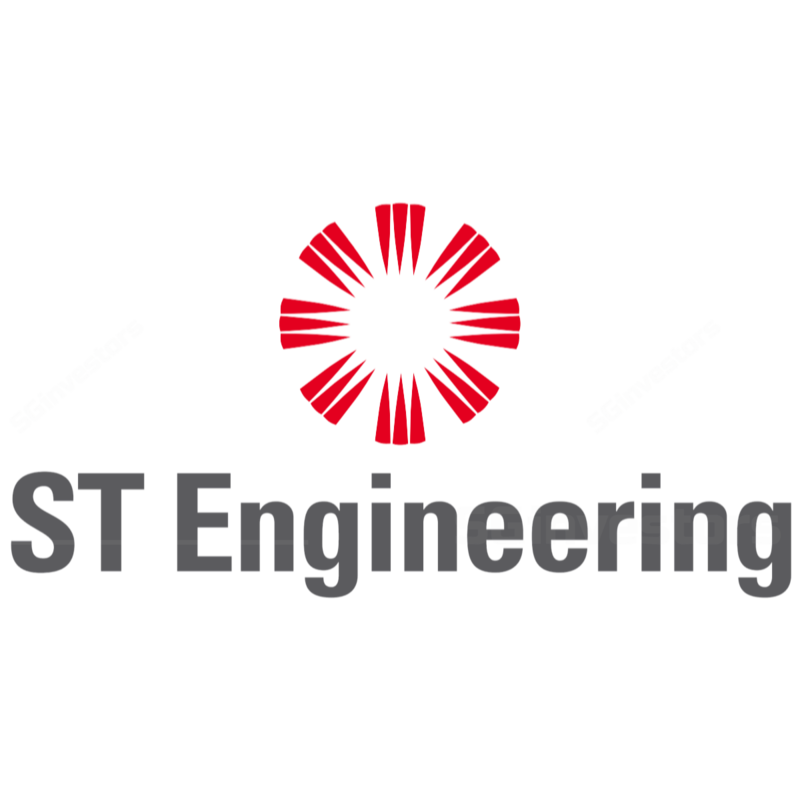 At 21x FY18 PE, we think the high orderbook level is priced in at this point – ST Engineering’s (STE) share price and PE valuation tend to track order wins, not orderbook levels. Significant order wins, substantial turnaround at the US shipbuilding operations, or progress with smart city initiatives could give the stock an upward boost. Our TP is adjusted downwards to S$3.70 in line with slightly lower margin estimates, and is based on a blended valuation framework, which factors in both earnings growth and longterm cash-generative nature of STE’s businesses. A protracted slowdown in shipbuilding and execution hiccups at new business segments could derail earnings. Also, lack of action on the M&A front could lead to inefficient use of balance sheet and lower ROEs in the future. PBT of S$163m largely in line. PBT was down 2.8% y-o-y (stripping out loss on closure of JHK in 3Q16), and up 8.7% q-o-q. Much of the q-o-q improvement in PBT was due to the Marine segment, which turned from a PBT loss of S$8.1m in 2Q17 to S$21.1m profit this quarter. This was mainly on a lack of cost provisions at the shipbuilding business’s US operations (which accounted for the majority of the S$22m shipbuilding PBT loss in 2Q17). 9M17 PBT now accounts for c.73% of our full-year estimates. Bearing in mind some of STE’s segments (Electronics, Aerospace) tend to see seasonal highs in 4Q17, this set of results was largely in line. Aerospace PBT flattish y-o-y; ramp-up of P2F programmes still key to margin expansion. Aerospace saw 16% lower PBT q-oq of S$66.3m, but 3Q tends to be a seasonal low for the segment; comparing y-o-y, aerospace PBT was up 2%. PBT this quarter was boosted by better performance at the component/engine repair and overhaul (CERO) segment, while Aircraft Maintenance & Modification (AMM) PBT continued to decline. Management said that Aerospace order wins are likely to sustain at current run-rates over the next 12 months. Margin-wise, ramping up the A330-200/300 P2F conversions to ‘serial production’ levels is key, though we think that still seems a while away. Aircraft leasing remains a source of future growth, with two new aircraft added to the fleet this quarter (total five in the portfolio), and a targeted ten to be added in 2018. However, we estimate S$15.5m in PBT per year for 15 aircraft (PBT margin ~35%), which comes up to about 5% of full-year PBT; not a small amount but not a game-changer at this point either. Electronics segment: Some uncertainty ahead as business models shift. shift in the satellite space towards a high throughput and multiple low-earth orbit satellite model requires more partnership efforts – again a shift in business model, which lowers visibility going forward. Marine segment – up q-o-q on lack of cost provisions on ConRo vessels. The segment turned from a PBT loss of S$8.1m in 2Q17 to S$21.1m profit this quarter. This was mainly on a lack of cost provisions at the shipbuilding business’s US operations (which accounted for the majority of the S$22m shipbuilding PBT loss in 2Q17). ST Marine continues to be on the lookout for distressed targets that fit synergistically within its portfolio (e.g. the repair yard that was purchased in August for US$25m, which sits next to its VT Halter Marine yard). Land Systems 3Q17 PBT underperformed; high hopes for the TUG robot. Land Systems PBT of S$15.1m roughly halved qo-q and was down 23% y-o-y (excluding the one-off charge for JHK in 3Q16). This was mainly due to a weak quarter at the Automotive business, which just broke even on a PBT level, on a less favourable sales mix. Management made a presentation on the TUG Autonomous Mobile Robots (AMR) by Aethon, which was acquired in August this year. They expect sales of TUG robots to become ‘material’ ( > S$100m) over time – though the exact timeframe was not specified – and see a global market of about US$1bn for AMRs in 2022. These robots have the advantage of not requiring external guiders (e.g. magnetic strips on the floor) and are able to perform machine-to-machine communications (e.g. opening lift doors). Orderbook still near record highs. Orderbook remains near recent all-time highs at S$13.3bn, translating to a 1.9x bookto-bill ratio. FY17 guidance remains unchanged – revenues and PBT to be comparable y-o-y. The guidance implies a stronger 4Q vs. this quarter – which gels with the Electronics and Aerospace segments' traditional seasonal peaks in 4Q.